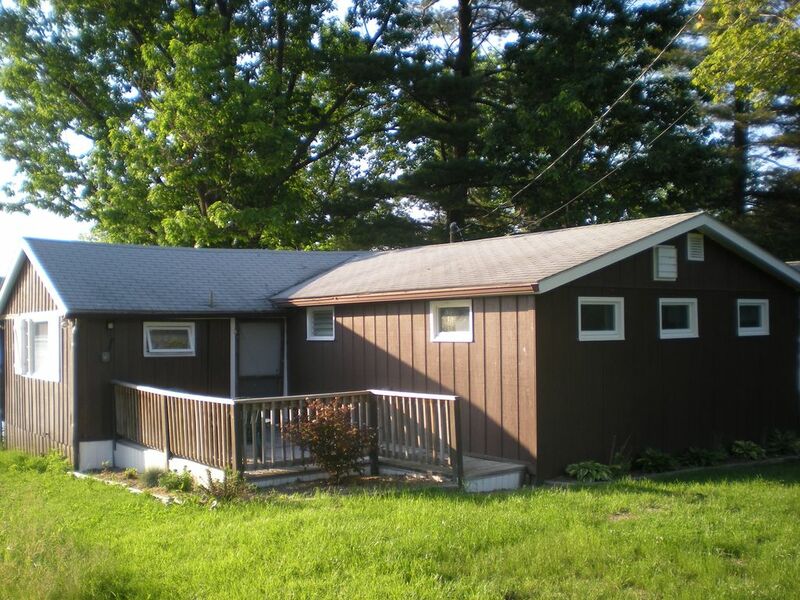 This non-smoking cottage is located 7 miles from Hammondsport on the east side of Keuka Lake. Enjoy fabulous sunsets overlooking the water or enjoy morning coffee in this peaceful setting! We are on the Keuka Lake wine trail, three golf courses within 15 miles, the Windmill market and of course all water activities at your fingertips. Parking is unlimited! Shared Dock available for boaters-everyone that stays at this home just loves it! Book your stay today! THIS PROPERTY IS AVAILABLE WITH ADJOINING RENTAL-2 HOUSES NEXT TO EACH OTHER IF NEEDED FOR LARGE FAMILIES. There is an eat at counter with 4 bar stools in the kitchen area-there is an outdoor table to eat outside on the lakeside deck. We plan on staying again! Great pet friendly place right on the lake with wonderful owners. We loved our stay here and will be back for sure. Wonderful owners who couldn’t be more helpful. Right on the lake with beautiful views and the use of two docks. We loved that we could go on vacation with our dogs. Don’t hesitate in booking this property. This is a pleasant cottage with everything you need to enjoy a peaceful, lakeside experience. The owners are very responsive and welcoming. We really enjoyed our short weekend getaway. Nightly Rate: $250 Weekly Rate: $1500 Monthly Rate: $0 - $0 Weekly rentals only during July & August Nightly rentals for May, June & September with a 2 night min.